Women have a heavenly heritage. Life circumstances do not define your identity, nor dictate the joy of the journey. Enemy tactics weaken when women know the truth. 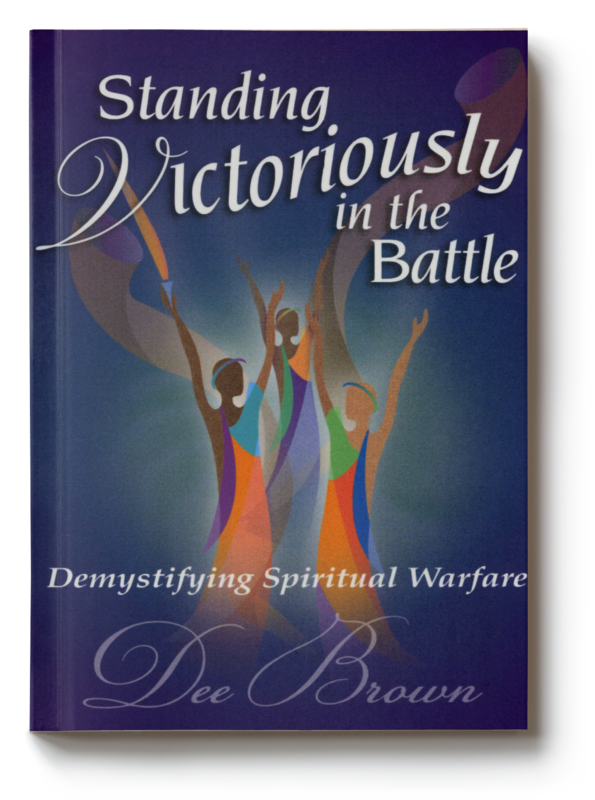 Written for men, this companion book to Standing Victoriously in the Battle will encourage and equip you with the truth to activate an arsenal of spiritual weapons. Yes, we are engaged in a spiritual war. We do not have to become casualties on the battlefield. Regardless of our circumstances, we are more than conquerors. 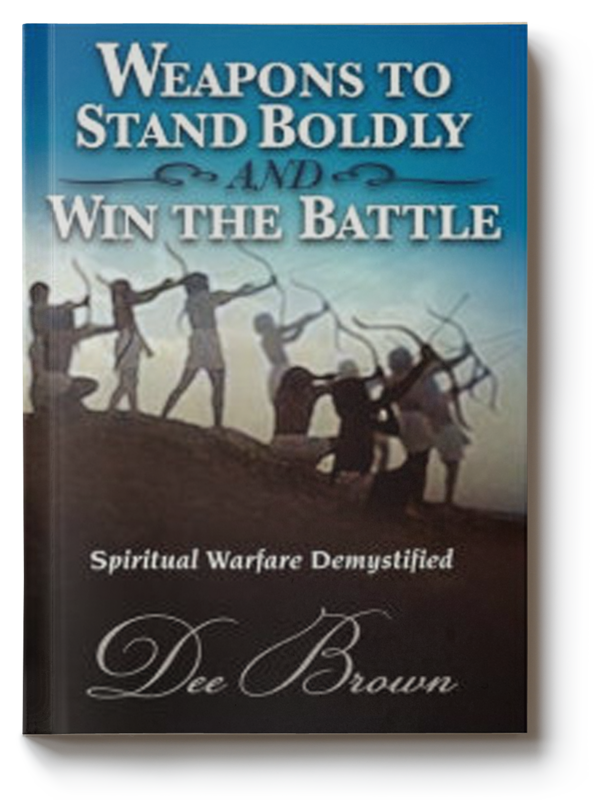 Author Dee Brown demystifies spiritual warfare and men gain tools to stand strong in the battle. The trumpet is sounding and it’s the hour to take back what the enemy has stolen! Arise, uncover the strategies towards becoming a spiritual warrior and fight for your faith, family, marriages and children. Unmask the enemy’s tactics, while declaring the promises of the Abba Father. The battle is real but the keys to victory are YOURS! Do you feel like you are living with Mr. Lamb and Mr. Lion? Do you walk on eggshells and weigh your words? Does your partner minimizes your thoughts or feelings? Does your partner deny, deny, deny he is hurt or angry when there is no doubt he really is? Do you hear yourself saying, ”I feel like I am losing my mind. Who will hear my silent cry? Yes, he is such a nice guy in public, who will believe me if I finally cry out and speak my truth? 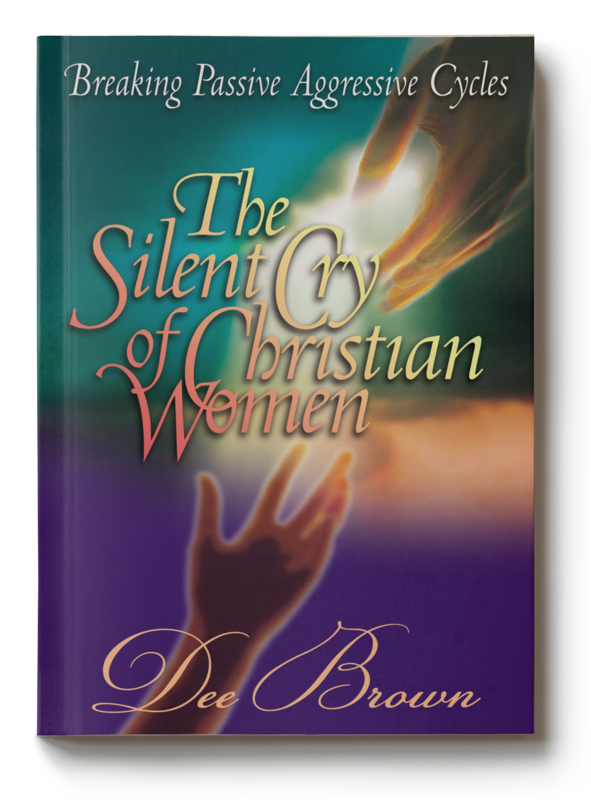 The words in this book can assist women and men in unmasking the traits, tactics and tendencies of passive- aggressive behaviors, while providing the tools to live in victory, freedom and wholeness. “Insightful! The Christian community has been waiting for someone to write about the confusion and pain that passive aggression brings into families. This enlightening book shows you can be free of the trap that keeps you from enjoying God’s best for you.